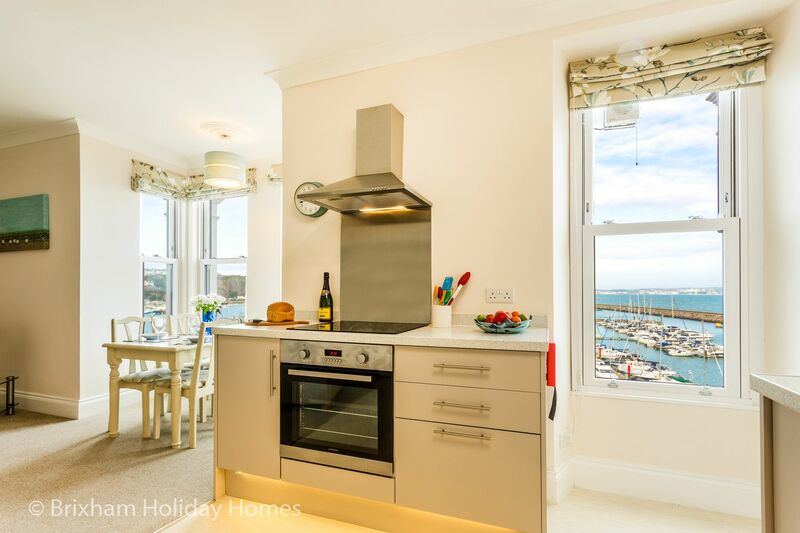 A luxury 2 bedroom holiday apartment overlooking Brixham Marina. Completed in April 2017 to a very high standard, 'Poppin' is the big sister to 'Tom's Nest' also featured on this site. A large open plan lounge, diner and kitchen occupy the front of the building. 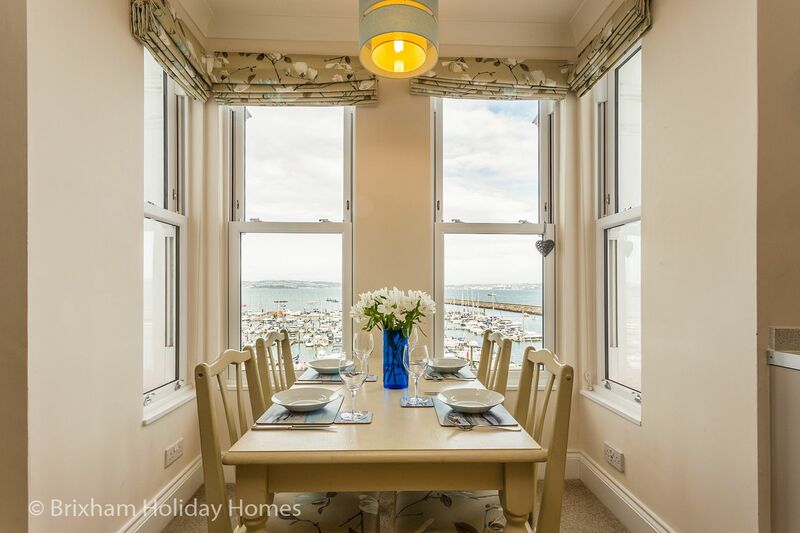 Multi aspect windows offer superb views out to sea. 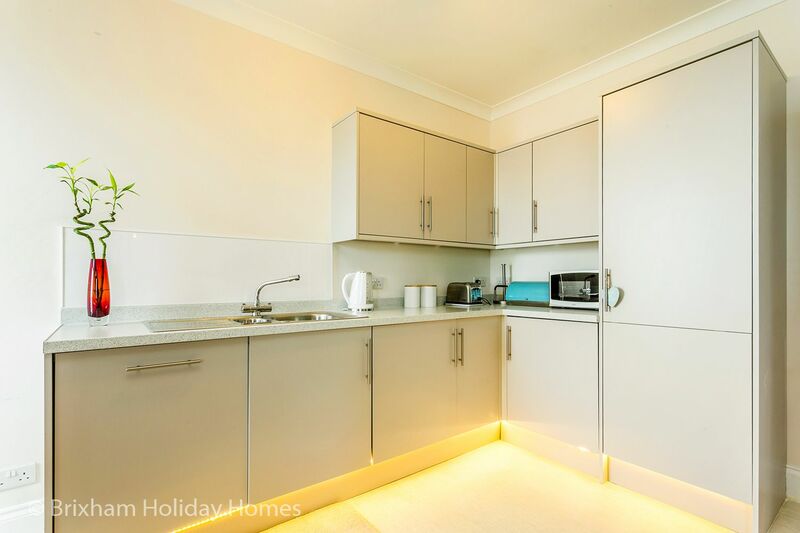 Comfortable sofas, flat screen TV and a kitchen that includes dishwasher and washing machine are among the host of features that make this flat so appealing. 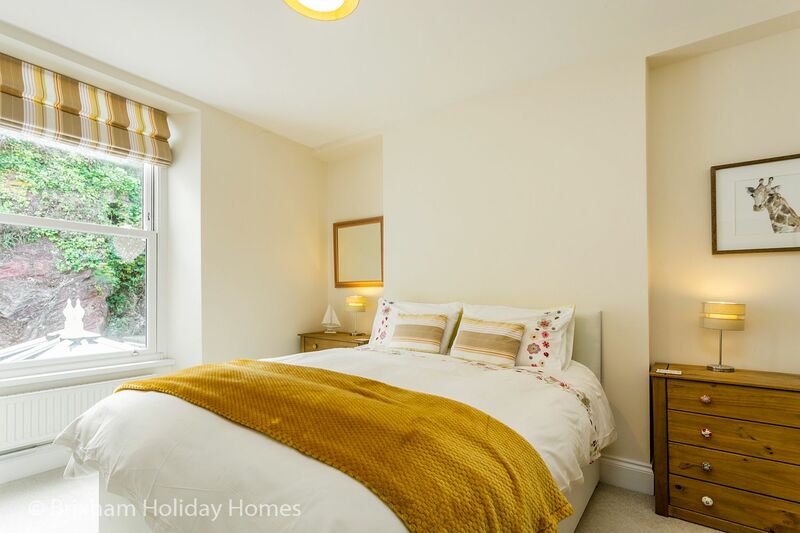 2 good size bedrooms and a large family shower room complete the accommodation. The second bedroom features a zip n link bed and can be configured as a twin or super king size. 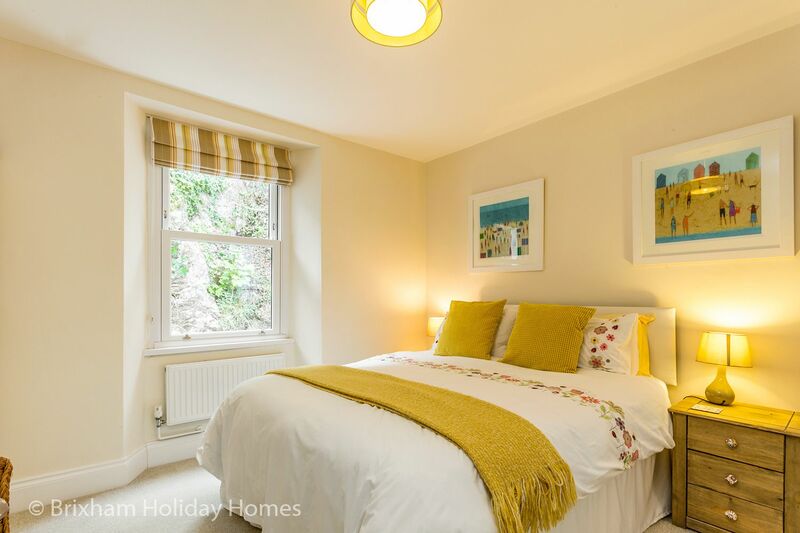 Poppin is the perfect base for 2 couples or a family wishing to holiday in idyllic coastal surroundings. 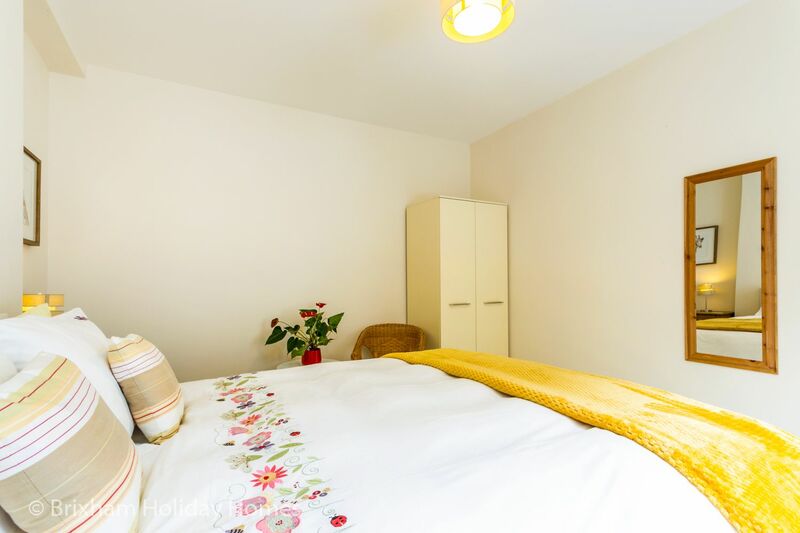 All utilities including wi-fi and free parking in the nearby Brixham Marina car park are included, as is quality bed linen & towels. There are no extras - the price you see is the price you pay. 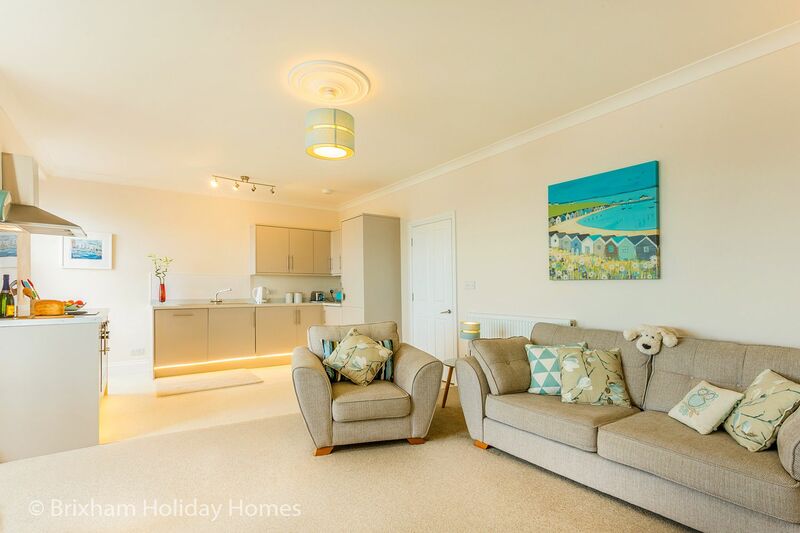 Stepaside apartments and Poppin are located just a stone's throw from Breakwater Beach and Brixham Marina whilst a 10 minute walk takes you into central Brixham where you will find a host of cafes, restaurants, cocktail bars and shops and supermarkets. The Prince William carvery and pub and the Breakwater Bistro are just a 2 minute walk away and Shoalstone open air lido and swimming pool a couple of minutes further. A leisurely 20 minute stroll takes you to the beautiful Berry Head nature reserve, where you can explore a Napoleonic Fort and learn about the abundance of wildflowers and birds that inhabit this area in the visitor centre. 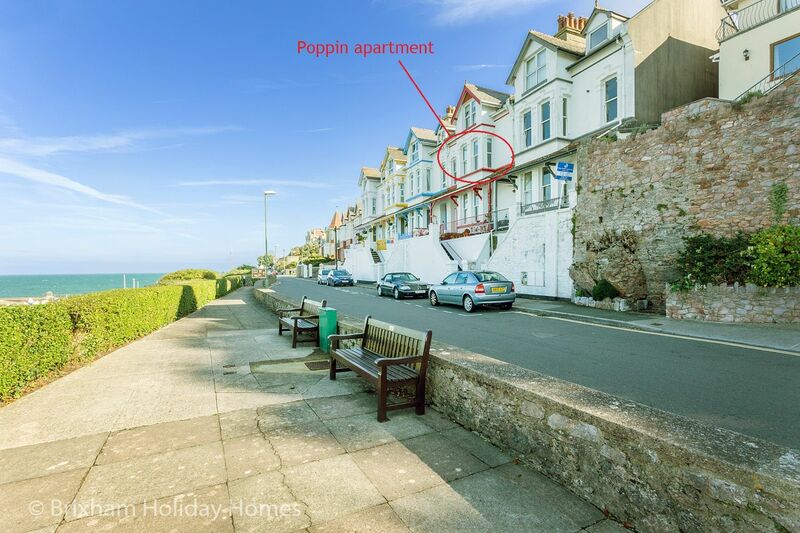 Poppin is available for short breaks of 2 nights or more for most of the year. 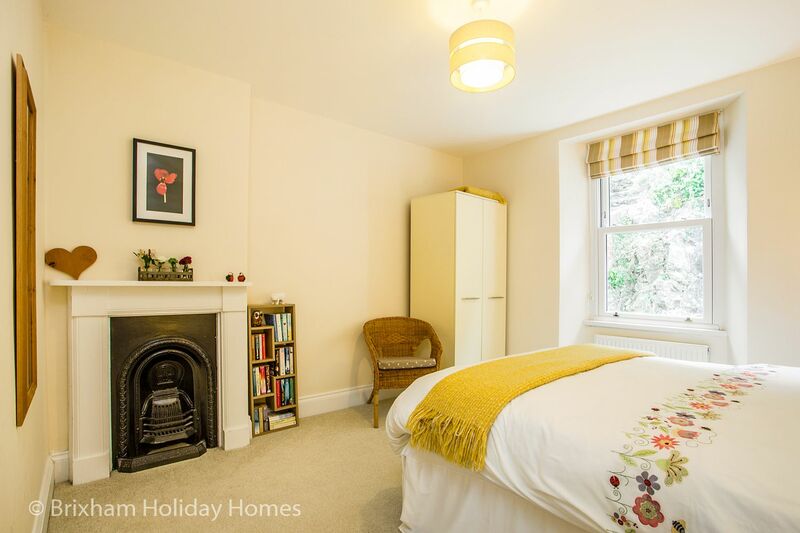 During the 6 week peak school summer holidays only weekly stays, Saturday to Saturday are available. At all other times, arrivals are totally flexible to suit your schedule. 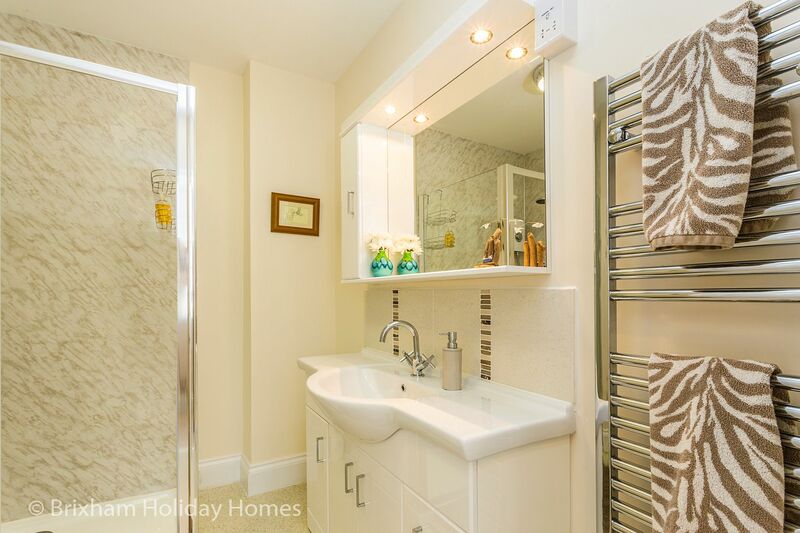 Full central heating ensures you will be nice and snug during the winter. Parking permit for the Brixham Marina car park is provided free of charge. Located 2 minutes walk away - very convenient. PLEASE NOTE: There are 15 steep steps from the footpath to the front door of Stepaside Apartments, then an additional 17 steps up an internal flight of stairs to the first floor landing and the entrance door of Poppin apartment. 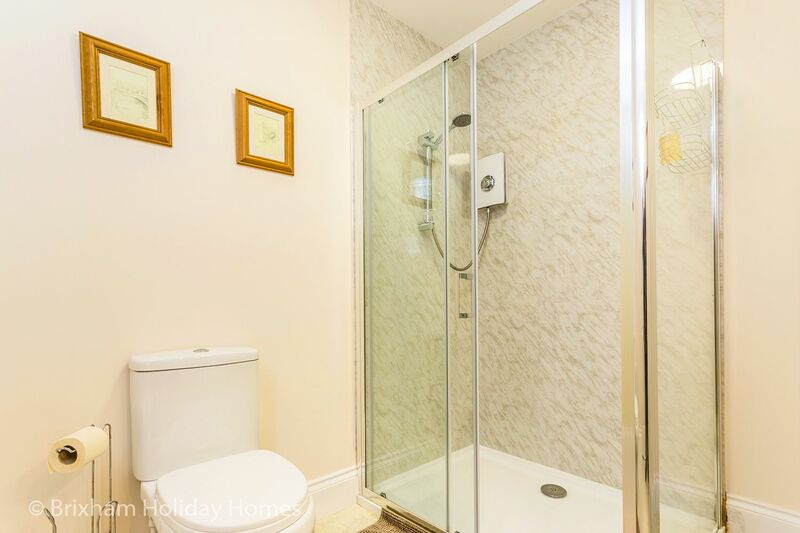 Therefore this property is not suitable for people with mobility issues. Wow, where to start. Fantastic location. Beautiful apartment, spotlessly clean. Beautiful views. Coastal path on your doorstep which takes you into Brixham Harbour. Approx a 10 minute stroll. In front of the apartment you will find the Breakwater. This is a measured 1/2 mile walk out to sea and the lighthouse and the 1/2 mile walk back gives you a good appetite for your breakfast at the local Breakwater Bistro. There are plenty of bars and restaurants to choose from. The coastal path in the opposite direction takes you to Berry Head, an area of outstanding beauty. This will only take you at a leisurely pace about 25 mins to reach and well worth the walk. We did not use our car all week. We left it in the lower level car park which is included in the price of the accommodation. The car park being only 2/3 minutes away. Local buses from Brixham take you along the coast to Paignton & Torquay. These run every 10 mins and you can buy a Â£5 day ticket which is superb value. Lastly and not least, the apartment is run by a lovely couple John & Emma, who leave you to enjoy your holiday but are there if you need anything with John pointing us in the direction of a couple of good bars :) Thank you for a wonderful holiday. 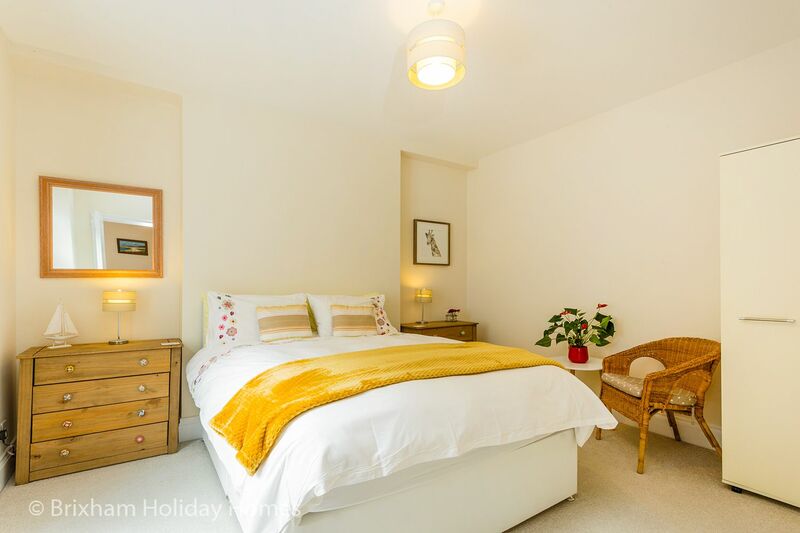 We have had many short breaks in Brixham and always stayed in a hotel.This time we wanted to spend a week so we decided an apartment would give us more space and freedom. We have stayed in a few apartments in other areas of the uk but the Poppin is probably the best weve had. The view from the lounge/diner and kitchen is lovely and whole place is immaculate and very comfortable. We did a mix of self catering and dining out for food. There is virtually everything you need to self cater and lots of good eating places close by. We would definately recommend the Poppin to our friends and others. The carton of milk, teabags and coffee left for us was a really nice touch and the bottle of wine in the fridge was great and made us feel really weclome. The apartment is in a quiet location and the safe free parking nearby was a bonus. We would definately recommend it. We had a lovely stay in Poppin first floor apartment. 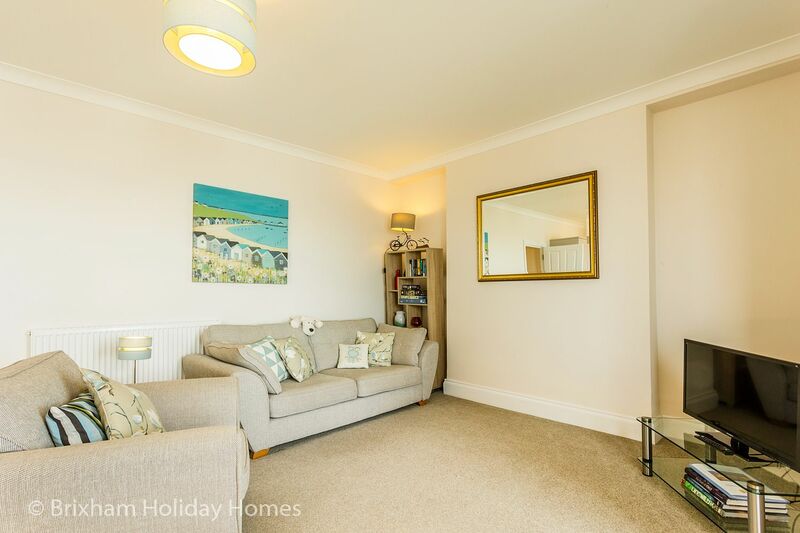 Clean, modern, very comfortable & quiet, excellent location only a few minutes walk from the centre of Brixham and on the coastal path. Views from the lounge over the bay towards Torbay & Torquay are wonderful. Would definitely stay there again. A lovely location with brilliant views. Short and pleasant walk along the esplanade from town. Lovely apartment and helpful hosts. Fantastic apartment.The owners were very helpful and lovely people. Great location. 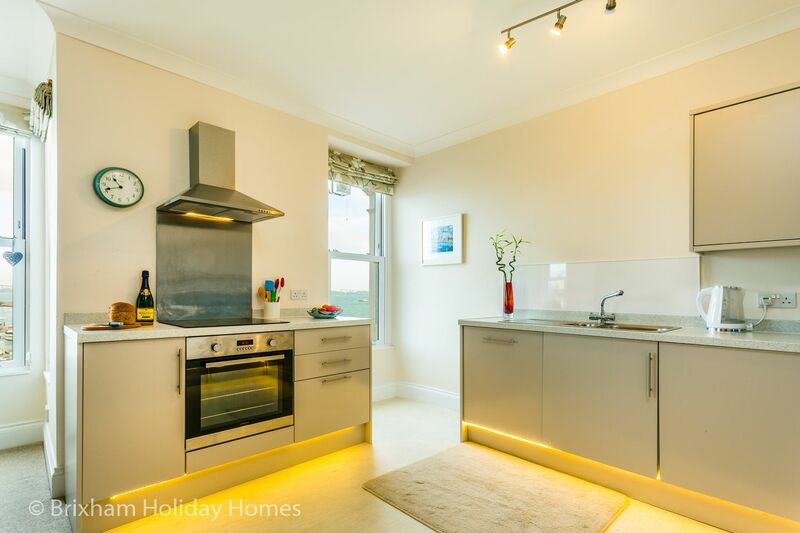 Have stayed in Brixham before and this apartment is by far one of the best I have stayed in. 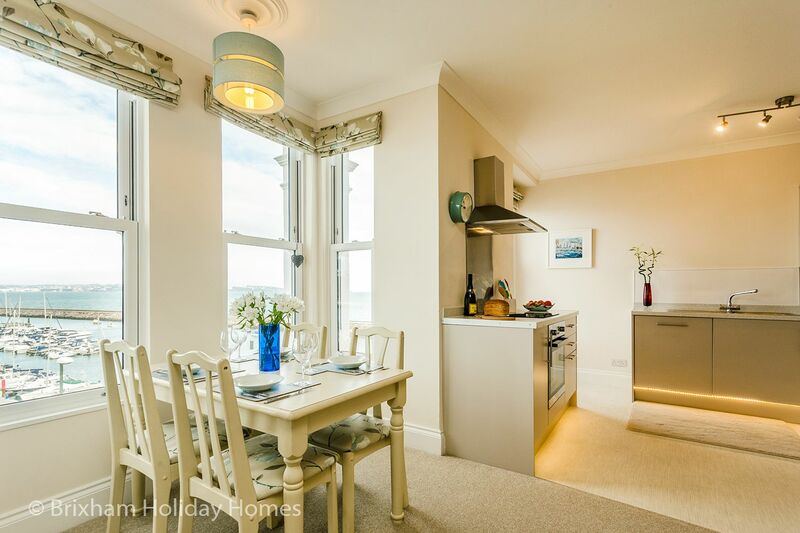 Stepaside apartments and Poppin are located on Berry Head Road opposite Brixham Marina. 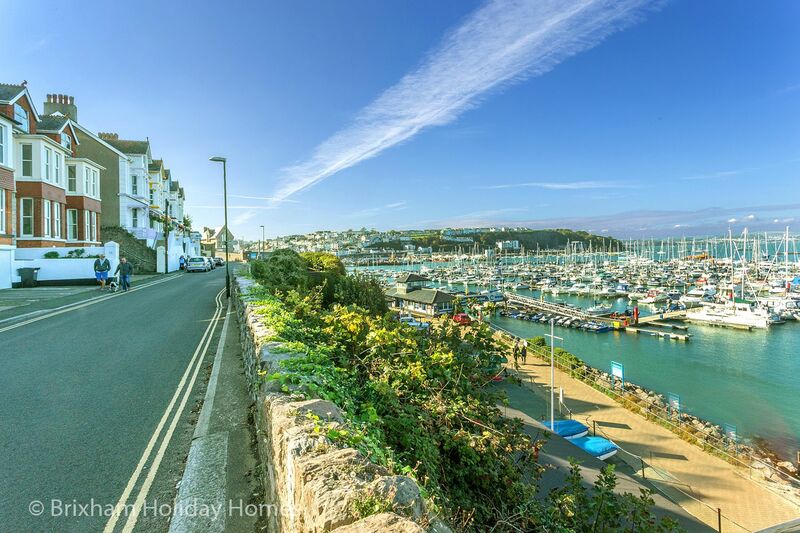 You are a stone's throw from Breakwater Beach and Brixham Marina whilst a 5 minute walk takes you into central Brixham where you will find a host of cafes, restaurants, cocktail bars and shops and supermarkets. Please note that there are 15 steep steps to reach the front door of Stepaside apartments and a further 17 internal steps to reach Poppin apartment on the first floor. Therefore this property is not suitable for guests with mobility issues.